The technology is advancing with every passing day. But this advancement has made us vulnerable to a number of risks. Let it be a gadget which can burst anytime or be it the internet where people can get robbed easily. The internet has become the dire need of modern day. It has become really important for every industry to stay connected with the internet as most of the company process are now handled on the internet. Moreover, a huge population across the globe has started using the internet for both personal and business purposes. This has made it more vulnerable. 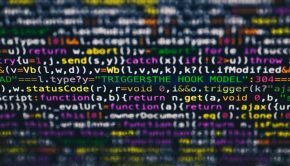 The spies and hackers are continuously trying to rob someone either by breaking the network security or making them fall in trap on a fishy website. People nowadays have become more vulnerable to the cyber attacks. There is an ardent need to look after a secure solution to safeguard the internet users against such crimes. Virtual Private Network, popularly known as VPN is a secured network of servers that is responsible for safeguarding the users from any threat prevailing on their network. 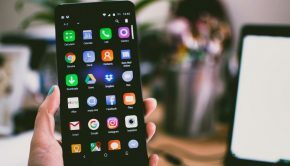 Most of the companies are using VPN on their networks to prevent their data getting leaked to third-party websites or hackers who are constantly eyeing over their network. Even the individual users are making use of a VPN to safeguard themselves against the cyber attacks. 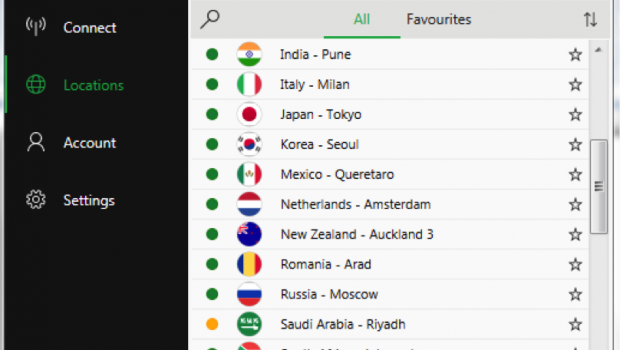 Not only this, the VPNs can even come handy when you wish to stream your favorite videos that are actually blocked in your region or you wish to access the websites that are restricted by your ISP or country’s government. But the question here arises is which VPN provider to trust and go for? Out of the number of options available on the internet, it is important to find the best one. It’s not at all easy. If you trust us then we will suggest you to go with BulletVPN. It is one of the most affordable and secured VPN providers on the internet. 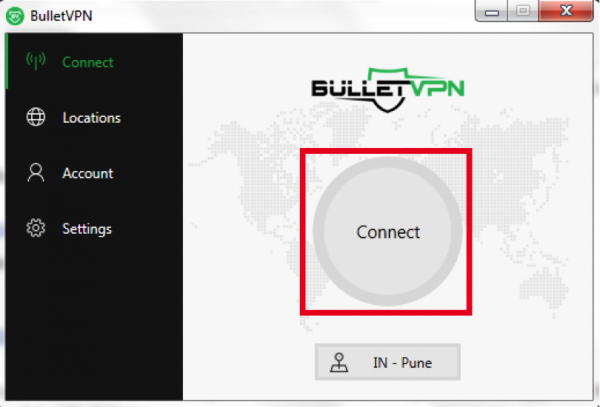 Let’s explore more about it in this BulletVPN review. BulletVPN is an Estonia-based VPN provider that provides reliable VPN solutions to all its users, Available for multiple platforms; you can access the geo-restricted websites and videos without getting caught by your ISP using BulletVPN. 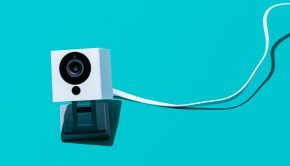 Not only this, you can stay safe from the prying eyes who are constantly trying to break through your network and rob away the crucial data from your system. Let’s find why to use it and easy steps to setup this VPN in this BulletVPN review. It hides your virtual location. It encrypts your traffic with high grade security. You shop globally from any website securely. You can download unlimited media at blazing fast speeds. Browse through the internet privately. It supports multiple connections in a single subscription. 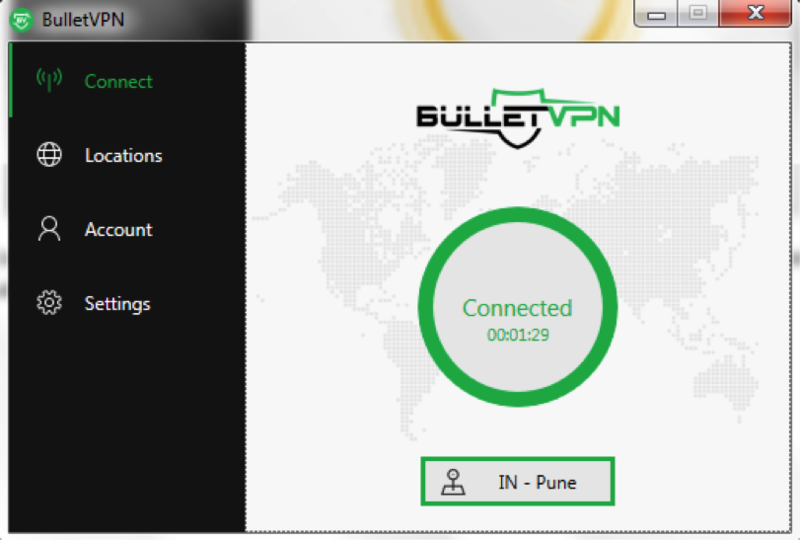 First of all, download and install the BulletVPN client compatible with your device. 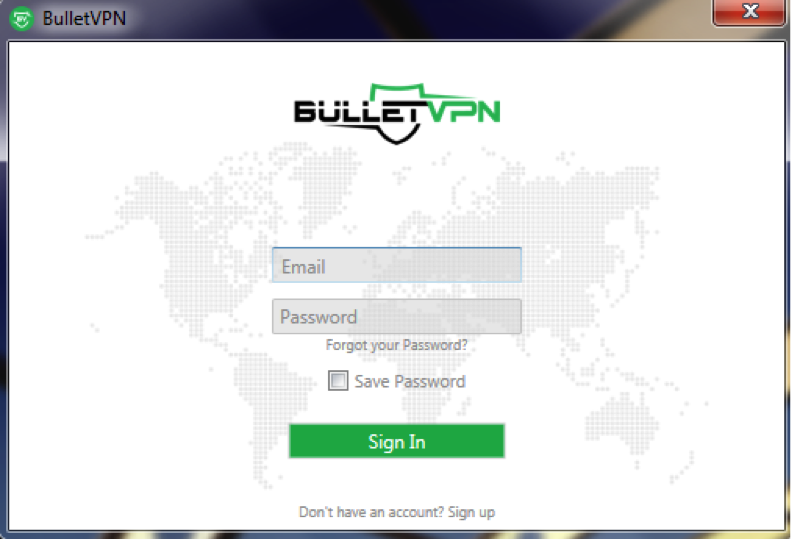 Once you have downloaded and installed the BulletVPN client on your system, follow the steps mentioned below. Click on the BulletVPN’s Quick Launch Icon on your PC’s screen. Click on the ‘Sign In’ button after entering the login credentials. Press ‘Connect’ button. The connection will be established in few seconds. Once you have connected to the server, the yellow circle will turn green, and you can even see the time of the connection. Go to ‘Locations’ option to connect to the server in any other location. Before changing your location, you need to disconnect from the existing server. Disconnect and choose the new server location. Browse the web privately once you are connected to its server. Browse Geo Restricted Content: You can easily stream the videos blocked in your region and can even access the websites that are restricted in your country without getting caught by anyone. Vast Network of Speedy Servers: It has its server network in 22 countries which is continuously expanding. 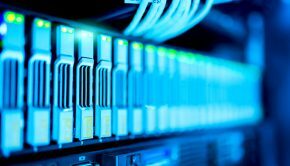 Moreover, it uses high-grade carrier lines to provide superfast speed to the users connected to the servers. Even the protocols have negligible impact on the server speed. It also allows unlimited server switches. Smart DNS Technology: Its smart DNS technology lets you stream the geo-restricted videos and use the geo-restricted apps on devices like Smart TVs, Xbox 360, Xbox One, Amazon Fire TV, Apple TV, and few other devices as you can’t use VPN over them. Security: It makes use of most secured protocols including PPTP, L2TP, OpenVPN, IKEv1, and IKEv2. Moreover the top grade encryption and No-Logs policy assures safe and private browsing to the user. Different Platforms Supported: It has applications for iOS, Android, Windows, and Mac platform. Powerful Support: It is one of the few VPNs which provide live support to the user. You can even get the support in 4 different languages including English, Danish, French, and German. 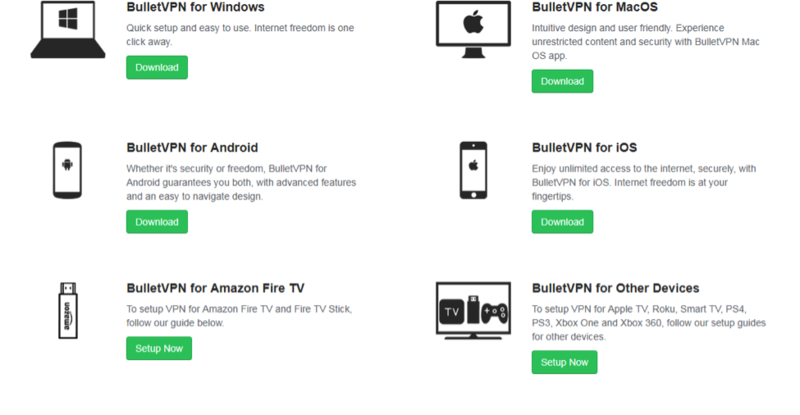 Money Back Guarantee: If you have opted for BulletVPN’s service and are not happy with it then you can ask for a refund within 30 days of making the purchase. 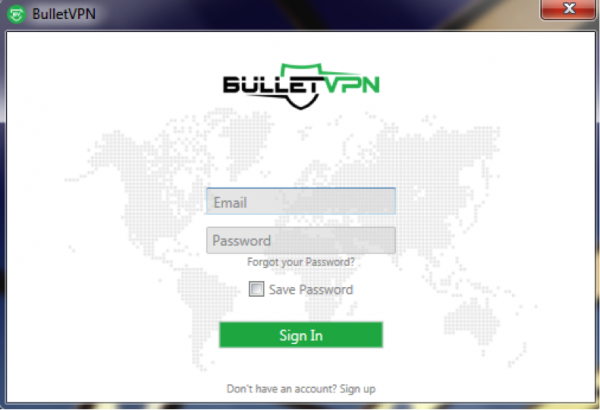 BulletVPN has been giving a tough fight to most of its competitors on the internet. With cut-throat VPN subscriptions and quality services, it is surely attracting the eyes of thousands of customers worldwide. Its smart DNS technology makes it possible for you to access geo-restricted content even on the devices in which you cannot use VPN. 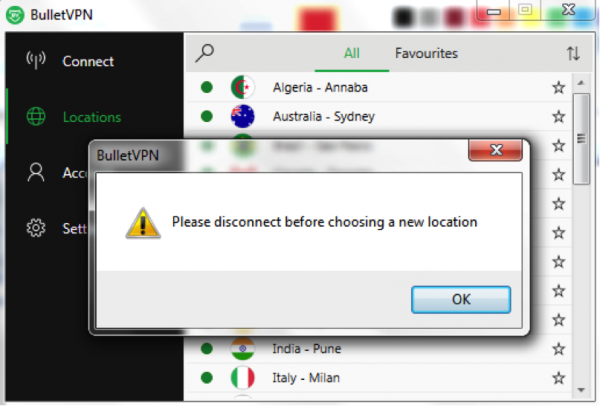 Give it a try once and you will forget all other VPNs.